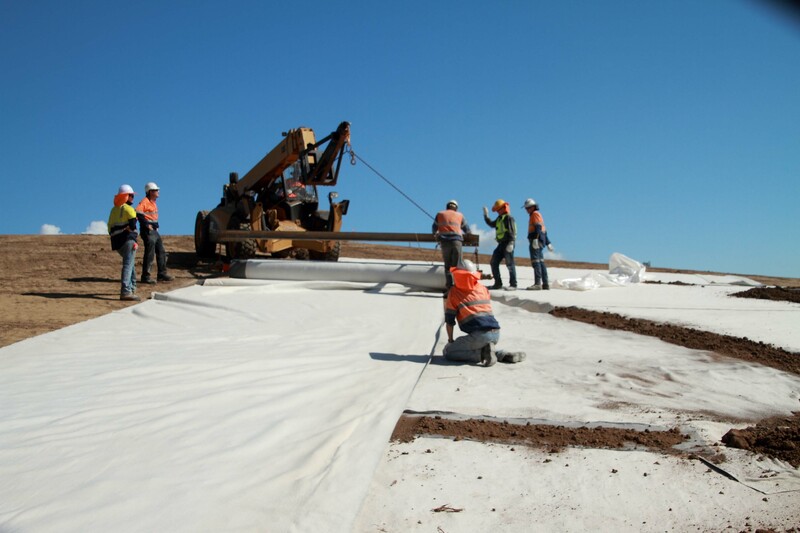 Since the the implementation of the EPA best Practice Guidelines in Victoria quality testing of geosynthetics supplied to landfills has increased significantly. All this testing comes at a cost, but is it worth it? Each landfill project requiring geosynthetic materials to be supplied has a detailed specification put together by an engineering consultant who has undertaken the design and accepts the design risk. These specifications detail the properties the product is required to meet prior to being installed on the site. This makes sense. MQA: Geosynthetic manufacturers typically undertake testing of mechanical, hydraulic and performance parameters to whatever frequencies they desire during standard manufacture. However, the specifications written for landfill projects, particularly in Victoria, generally require an increase in testing frequencies over and above the manufacturers standard frequencies. CQA: When rolls arrive on the project site, the wrappers are removed and samples are cut from the rolls, individually wrapped, and then sent off to an independent laboratory to confirm the product actually meets the specified mechical, hydraulic and performance parameters. It adds workload to review specifications, ensure compliance with every test property, test method, testing frequency to ensure supplied product meets specification. Specifications which do not meet standard manufactured products require bespoke manufacture. If something is missed, the risk is with the supplier and deliveries can be delayed. With CQA testing, no contractor or asset owner wants to take the risk on materials they purchase so any failed tests are again the supplier’s problem to be sorted. This can result in material rejections and replacement at substantial cost. Quite the burden. I want confidence that these lining systems don’t leak. I want to know that pollutants are captured and do not leach into the environment. I also want a secondary system in case a leak occurs in the primary system and all with a healthy factor of safety. I want to make sure I leave a healthy planet for my children. What we have seen from increased rigour around testing is a rapid increase in the quality of geosynthetic materials supplied to the landfill and waste industry. Manufacturing processes get challenged. Through challenge, improvement shines forth. 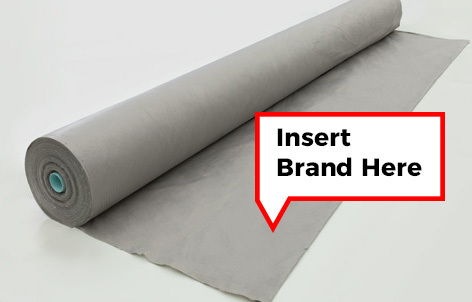 Better products are the result – leading to better sealed landfills. A project site with little testing will obtain watered down quality as the lowest common denominator is sought. If you don’t test it, inferior materials will be supplied – meaning the risk resides with the asset owner. But why would the asset owner take this risk on? Surely the manufacturer should be the one bearing the risk. After all, if I buy a washing machine, I want to know the manufacturer ensures it will do the job required - if not I’ll give it back and demand a refund. 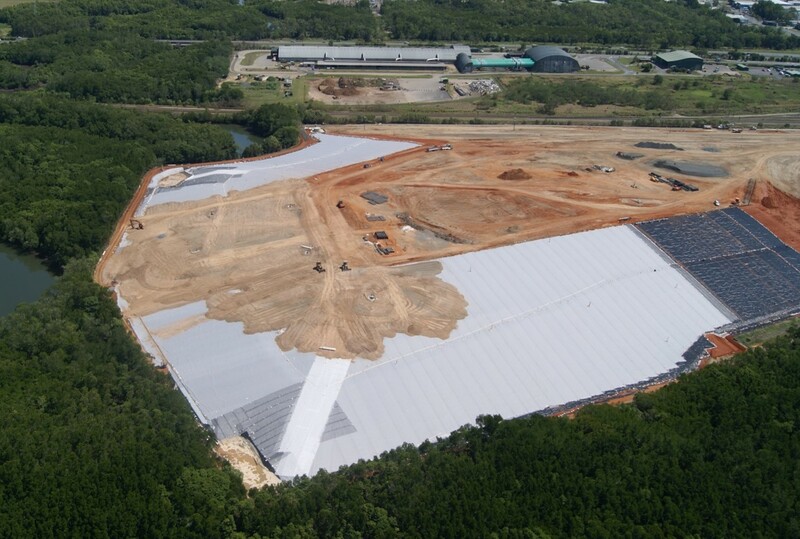 Geosynthetics are not as easy to measure performance as a pair of tighty-whities coming out of a washing machine. Hence specifications and testing regimes are required. To summarise, as an employee for a manufacturer and supplier of materials, increased testing is challenging and frustrating and makes my job harder. However, I can testify that that additional testing results in better quality products being supplied. And it is undeniable that we are lining landfills better now, as an industry, than we ever have before. I also hope that in another 10 years, we look back on what we are doing today and gasp - for then we would know we are evolving, developing and improving.